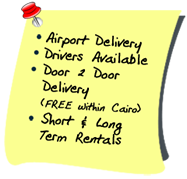 Smart Limo offers car rental services in Cairo, Egypt. In Cairo we have our car rental station and our service station. We rent cars in other cities like Sharm and Taba upon request. 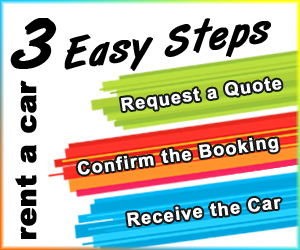 Our cars can be rented with or without drivers. Limo service is available in luxurious cars. Travelers can also request a one day trip with an authorized English speaking guide to visit Cairo or Alexandria. For those customers who are looking for perfection, brand new vehicles are added to our fleet each year. And for those who are looking for budget rates, old vehicles are serviced at the best service stations on regular basis enabling us to offer a perfect car at a budget rate. All vehicles are fully insured and are included in our published rate. In case of damage, the renter's liability is limited to $200.00 per event. At Smart Limo the customer is privileged more than anywhere else through friendly service and customer oriented staff.